You can refer to me as a writer, but I prefer wizard. 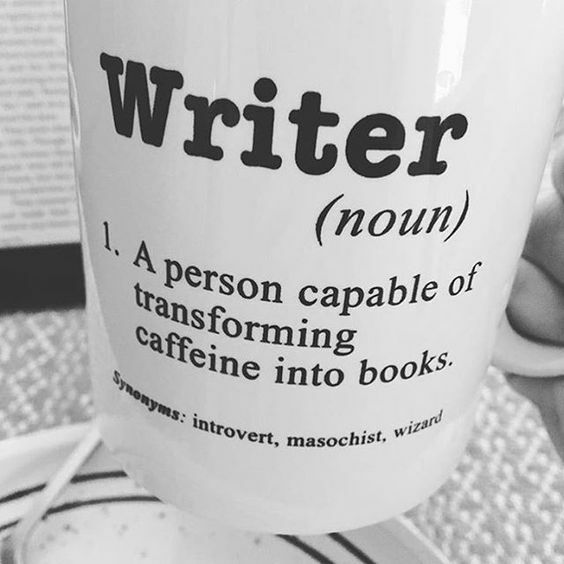 Now that we got that out of the way, let’s talk about the writer’s arsenal. I have a few things that help me get through my day, and through my writing. These are personal, but if you want to be a wizard you can use them too. Coffee – This isn’t just about coffee, but more about how you start your day. It can be tea, green juice, really whatever wakes you up. Working out can get your mind started in a way no drink can as well. The point is, don’t let your day start as a drag. Start with something you look forward to, like the first sip of that pour over coffee, or running a mile. Get that mind running and fueled up for the day. I do green juice, workout, and then coffee. Yes, I’m a little strange, but trust me it’s a great way to start the day. Checklist – This is a great way to get all of the little things out of the way. When I take a look at my checklist in the morning, I know how good it’ll feel to check off each item, no matter how small. When I don’t check something off it nags at me, and that sense of guilt that I get is a great motivational tool. I like to create goals that are daily, and fit properly in with the day I have planned. If the little goals are too rigid it’s easy to get caught up in. Life happens. Checklists have been great procrastination killers for me too. The point is to work towards the big goal every day. The Big Goal – When waking up, the big goal is the thing that makes me jump out of bed every day. This is a lifelong goal. Not to finish a certain amount of pages, or to finish the script, but something that will last long after that. The big goal for me is to share my vision with the world. My vision may change from script to script, but I write about what I think is important every day, and that is the most important tool in my arsenal. There are all sorts of tools you can use to create a better day and writing environment. If you utilize them, your odds of success could skyrocket. Now make me proud and write something!